why I can`t cash out to paypal? ?it is a long time it is said in progress ...but i waited for a month without success. it is said in progress!!!!why???????? Hello! How much does it takes to wait for a transfer to the paypal ( I know it says 2-5 days) and when does it make sense to contact support today? 7 working days have passed, status is "in progress". I read that if you contact support, the transfer will be canceled and everything will have to be re-transferred and wait again. What cause such delay? Any holidays past week? (sorry for english) I haven't been cashout money in over 2 years. 2 weeks ago i cashout 3times. then tried again. opened a ticket it says blocked my money and an agent wanted my goverment id and home adress bill. i sent my documents. she/he asked me what I did work i replied. then he is asked and wanted many things i sent everything and i replied every questions. but still agent dont unblock my money. still "In Progress" have been one week. I tried to talk to other people they are not answered me. finally i give up cash out my money and i said pay back to my account my money. and unbelievable but he/she is said "NO! 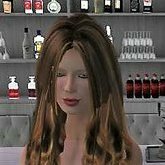 your money stay -in progress-" SO... linden lab stolen my 1000 usd. i cannot take my own money, they are not pay back to my account, i cannot reach another agent or manager/director or someone else. i lost my 1000 usd everyone be careful about cash out. cuanto es lo minimo que puedo ingresar desde mi cuenta paypal y tambien desde skrill. tengo entendido que cobran una comision asi que si quiero ingresar 10 dolares para comprar lindens debo disponer de poco mas de 11 dolares. otra pregunta, si quiero ingresar el dinero desde la cuenta skrill debo poseer tarjeta de debito de skrill o lo hago directo de la cuenta skrill? y la cuenta skrill debe estar a mi nombre o puedo usar la de otra persona? Salve a tutti, sto cercando di aggiungere il mio account PayPal ma non ci riesco. Clicco il link, si apre la schermata di PayPal, inserisco i dati richiesti, clicco aggiungi ma non succede nulla... nonostante abbia compilato tutti i dati correttamente, continua a chiedermi di collegare la carta di credito. hello everyone, 2 days ago i pu tin a reques to process credits for the L$ balance on my account, and it's been 2 days and it's STILL not there, that's really weird because last time i did it , i was like perfectly two days, what is going on that is delaying this? anyone please help requested 6-20 todays date 6-22 so plss? main and alt account sharing the same paypal for process credit? Hello! I have some concern about me having two stores that both give me enough lindens to send to the same paypal account. The thing is that I was requested to give my ID for one of them some time ago because of my process credit balance. Thats good and all but now that my other account is giving me anough lindens too I am requested again to give my ID. I actually never occured to me to ask what is the stand of Linden Labs on having an alt that also earns enough to process credit to the same person. Can I actually have two stores if both get enough? I'm trying to link my Paypal account with my Sl account, but I seem to be having issues.. It says first that It needs to be an account accepted by a bank account (or something along the lines) and it already is.. My paypals working.. Is there something I am missing or should I wait and try again at another time? Thanks! Hi there! Okay, so I'm new to Second Life. I've visited once or twice, but never really got too into it. I've been eyeing some complete avatars in the marketplace recently so I wanted to buy some Linden$. Now, I use GPB, but I know PayPal does change the USD to GBP when checking out. I have a PayPal account, I sign in to buy Linden Dollars and suddenly this comes up: " - By clicking Agree and Continue I confirm that I want to use Visa # for my current and future purchases with Linden Research, Inc.. I authorise Linden Research, Inc. to charge my PayPal account for such purchases and I instruct PayPal to pay such amounts. I understand this lets me check out faster by not having to log in to PayPal to complete my purchase. I understand that if I have a PayPal balance, that balance will be used first and that if my preferred funding source has expired or been declined, PayPal will charge my backup funding source. I can change my preferred funding source or cancel this authorisation at any time in my PayPal Account. The payments will be treated by PayPal as pre-approved payments as specified in the PayPal User Agreement. - " To be clear, I don't want to pre-approve any transactions. I want to buy a one off $20+ and leave it at that for now (especially since, from what I've read, a lot of this game does use real cash albeit converted to Lindens). I'm looking to purchase a cool avatar and roam around the freebie areas, no fancy land holdings or anything like that. If I enjoy SL and want another, then I may choose to spend more but as of right now, that's a big if. I feel safer with any and all online shopping when I have to use PayPal's checkout so I can watch exactly what I'm buying and when. So far I can't see any option to remove the faster checkout or the pre-approved purchases. Most websites offer pre-approved/faster checkout as a tickbox (which I always avoid/untick) but I can't see it here. Please let me know if I missed anything or how to amend this in one of the account options. Thanks in advance. Is it possible to pay for Premium Membership with your Linden Dollar balance rather than using PayPal or a Credit Card? Hi, I am trying to sell Linden Dollars into my paypal account. Yesterday I tried a dry run under the first box, sell Linden dollars (market value) and estimates came up but they do not today. I am using round numbers. alquien mas esta teniendo retrasos con su proceso de credito? Anyone else having Process Credit delays? My process credits are usually processed in 1 day, 2 days max. It's going on 5 days now and I'm just wondering if anyone else is having similar delays. Pay Someone with Paypal for Linden? Now I've done a bit of research on this, and I can see I cannot purchase Lindens anymore because I no longer have my bank/credit card linked to my paypal. It also doesn't look like I can go out and get a prepaid either. I was wondering if it would be possible to purchase Linden from other users? Sending them USD to their paypal, and then they send me the linden? I don't really know that many people ingame that actually use paypal, so I'm not entirely sure where I should look to find a seller if this is possible. Can someone please tell me how to remove my PayPal account from the payment options when checking out (SL Cashier)? Hi, I am looking at providing a product that people can "rent" from me - all the normal stuff so far. However, I am wondering if it is allowed to accept other forms of payment, e.g. paypal/credit card, instead of just renting in $L. If it is possible, the next question would be: How safe it to be to transmit the card details from inside Second Life to a payment provider. Or should I build an actual website for this? It would be a lot easier to have a script that the renter choose to pay using, that can then direct them to a HTML on prim, that is actually hosted by the script itself (LSL server), and then posts the credit card details to the payment provider. If this allowed, and is secure then great :-) Otherwise, I might have to build a website to do that payment work, and then somehow link up an arbitrary visitor payment to that renter... Or, it might not be allowed at all (or against the terms of service, I never even thought to check actually!). Many thanks i advance for anyones insight! Hello! Well, I'm new in SL (2 weeks old, still learning) and I want to buy 850 lindens but I don't own a credit card, so I thought I could use Paypal BUT I still need a credit card... What can I do? Thank you <3 Lixi.